Celebrate Hispanic Heritage Month with a special concert for all ages at the West Branch! Los Cenzontles (Nahuatl for “The Mockingbirds”) dig deep into Latino traditions to promote dignity, pride and cultural understanding. The group has pioneered revivals of Mexican roots music in California bringing traditions to new generations. The Mockingbirds now create a powerful new hybrid sound – creating a fresh Chicano voice for a new generation. Fronting the group is the dynamic vocal dueto of Fabiola Trujillo and Lucina Rodriguez. 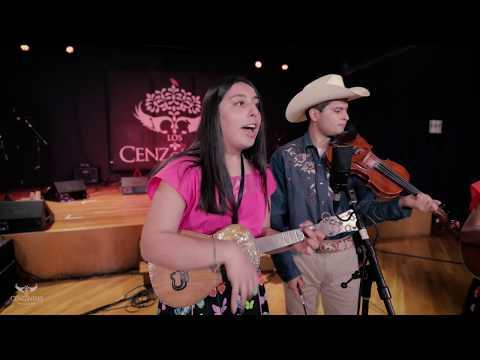 The Mockingbirds effortlessly mix electric bass and drums with traditional Mexican instruments – jarana, vihuela, requinto, pandero and quijada (jawbone) – creating a powerful contemporary sound infused with the gutsy soul of Mexico’s rural roots music.